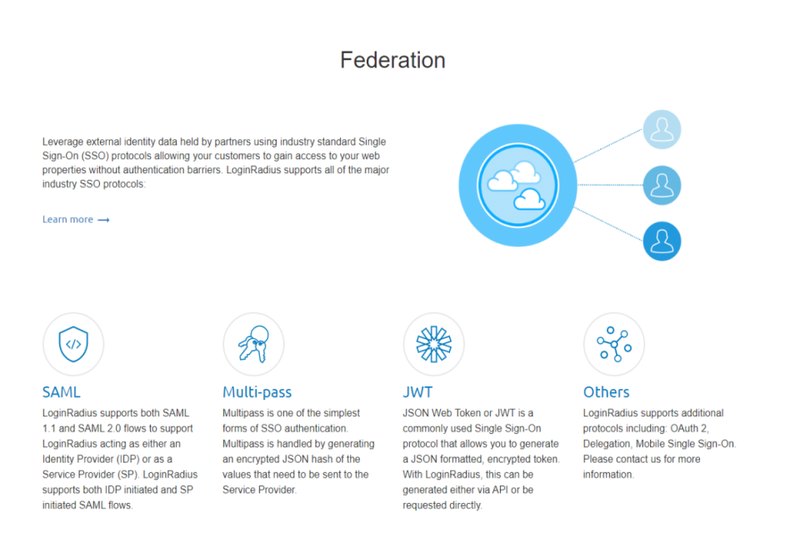 LoginRadius is an ideal CIAM solution for the following industries: Media/Publications, Travel/Hospitality, Public Sector, Telecommunications, Ecommerce/Retail, Financial Services, Healthcare. 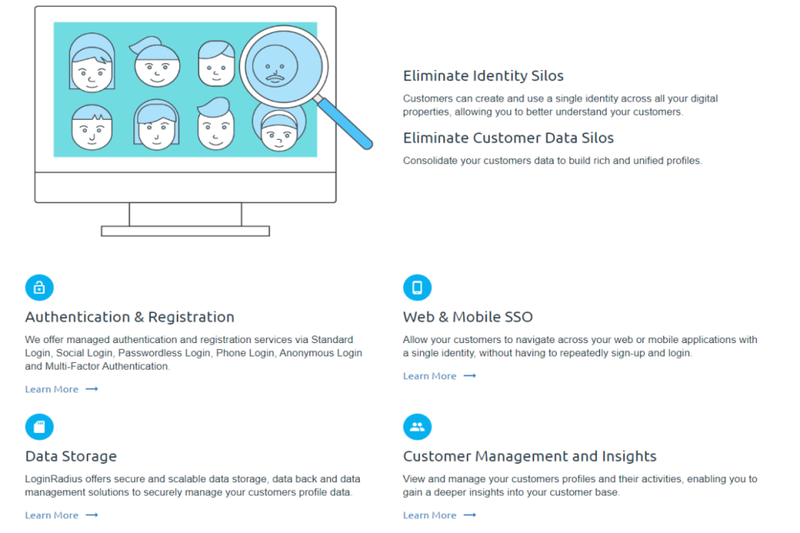 LoginRadius empowers businesses to deliver a delightful customer experience without compromising security. 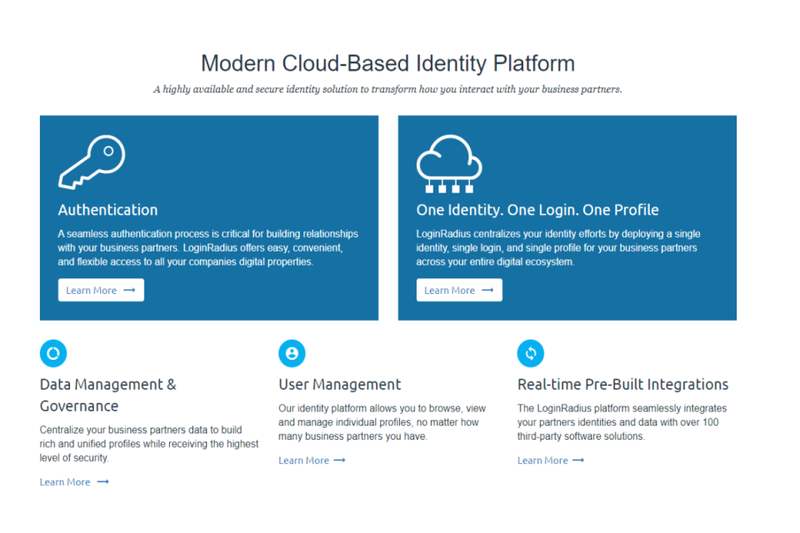 Using our customer identity platform, companies can offer a streamlined login process while protecting digital accounts and complying with data privacy regulations. 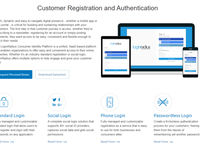 LoginRadius serves over 3,000 businesses with a monthly reach of 700 million users worldwide. 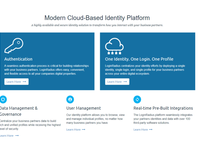 Key platform features include registration services, adaptive security, third-party integrations, and customer insights. 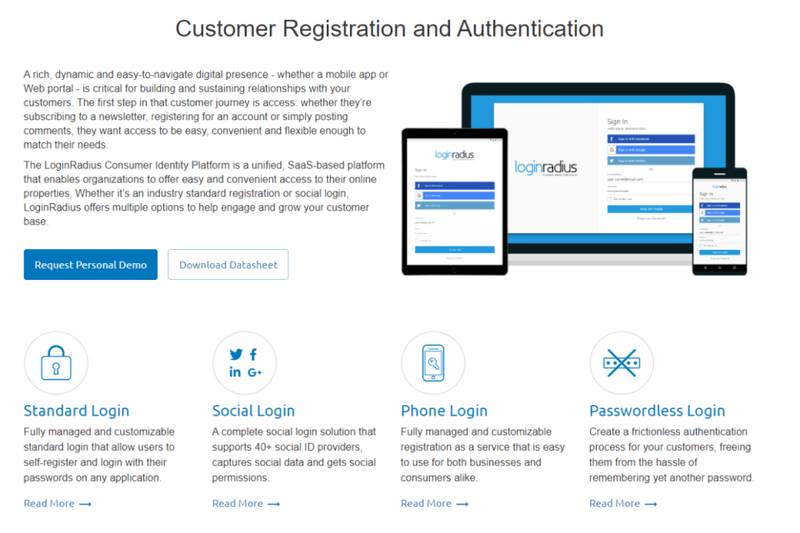 Comments: We had a great experience with LoginRadius helping us get set up with social login integration on our site. From the sales people to the support team everyone at LoginRadius helped us at every stage of service inquiry and implementation. One noticeable trait of LoginRadius was their patience with us. We had very little tech experience on staff, so they made sure we understood what had to be done in order to successfully implement the service we were looking for. LoginRadius even reached out to us multiple times after implementation to let us know about some areas that needed tweaked in order to have an more efficient application. We're a fairly young company in the social media/online marketing space with a smaller staff so having LoginRadius work with us through every step of the social login implementation was very beneficial to us. 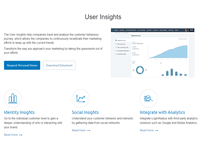 Because of the social login capability we can now capture user information that will help us adjust and determine specific user content goals. Pros: Sales staff was knowledgeable about their products/services and listened to us concerning our current situation and offered solutions that addressed areas of improvement. Support team was very patient and helpful when aiding us through the implementation process. There was no hesitation from any LoginRadius team member to hop on a call with us to better explain something that we were unclear about. Thank you Dave for all of your kind words! Our team loved working with you too. 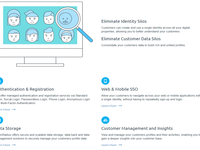 Comments: LoginRadius provides a very wide range of flexible and well-documented APIs, which were seamlessly integrated with our internal, bespoke 3rd party applications. 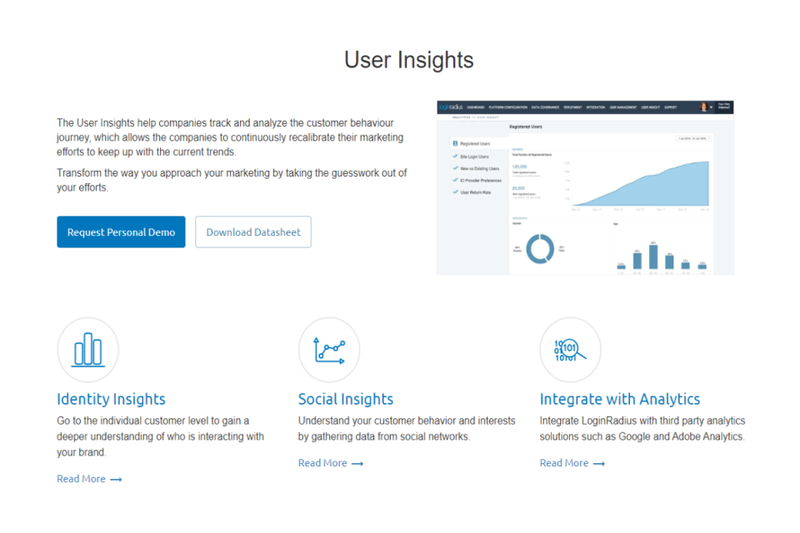 LoginRadius' dashboard tool made it very simple to not only identify specific demographics of users, but parse out based on individual user segmentation. Their cloud storage has been exceptionally stable and we have experienced the highest uptime (which I've monitored!) and their support has exceeded everything we were promised - highly responsive. They obviously employ technically sound individuals who were willing to take the time to discuss our project in detail, make recommendations, and provide assistance around implementation. My technical team has also been very impressed with the level of service and product that's been provided. Pros: Very helpful and knowledgeable product people, technical support. Top notch APIs, thorough documentation. Comments: Using LoginRadius from the beginning has allowed us to implement social login features and focus our efforts on development of features rather than "plumbing". The set was fairly quick and simple which saved us days of development. It saved us the monitoring and implementation of ongoing updates for each social provider as LoginRadius covered this. Furthermore the help during the setup and with implementation questions was thorough and quick. Tehmeena Malik and her team has provided excellent customer service by being attentive to our issues, suggestion solutions and coordinating technical or billing support. Comments: We purchased LoginRadius RaaS to register our 100,000 users and having spent over $8000, we could not succeed to register even one user successfully. There is a complete disconnect between their sales and tech teams. The sales team will promise the world for you while their tech team will deliver a defective software so full of bugs that we spent 4 months trying to integrate it without success. Also warn you that based on our experience, LoginRadius is only interested in the customer's money rather than in customer satisfaction. There will try every single way to fleece money out of you in advance without bothering to see if their customer has found the product useful or not. Pros: I do not think there are any advantages of signing up with this service. Cons: - LoginRadius custom WP plugin which they developed for us was full of bugs when we tried to install and run it on our WordPress installations. There were header errors and the WordPress site ended up with a blank screen. - As per our agreement, the custom WP plugin was supposed to be integrated with Woocommerce so that users can pay online and then register to RaaS. However, on testing, we found out that the WP plugin also allowed free registrations bypassing the Woocommerce payment system which was a huge risk to our business. - Their social commenting feature is only compatible with WordPress TwentyFourteen theme. In all other themes, the social buttons will disappear from the WordPress comment box. Comments: LoginRadius is perhaps the only software company that first tries to steal money from its customers, provides a defective software and then threatens its customers. Our company hired their service to develop a custom software. We waiting over 2 months and paid them thousands of dollars. At the end, what we got was a buggy software that refused to register our users to LoginRadius RaaS and caused our WordPress site to crash several times. We tried to work with their support team which was completely out of sync with our requirements. When we finally gave up after 4 months of patience, their support team sends a letter threatening us! Stay away from this company! They will charge exorbitantly for a buggy software and you keep struggling for months trying to integrate it with your website. Pros: Not a single positive thing about this company. Cons: - Their developers never read contracts and develop software programs in the most negligent manner. - Their support team is the most threatening you will ever come across. - The LoginRadius WordPress Plugin and LoginRadius RaaS are both defective and cause conflicts with your themes. We tried it with both their WordPress default TwentyFifteen theme as well as other advanced themes. It never works - For a company like LoginRadius, only money is more important and they will go to any extent to get it out of you without bothering to understand if their product has been useful or not to the customer. Would recommend LoginRadius as a service! Comments: Opting to work with Login Radius greatly reduced our initial development time and costs, and the implementation process was efficient and seamless. As a result of using the Login Radius solution, we can worry less about compliance with the various social APIs, and focus more on creating beautiful websites for our clients. Working with Login Radius over the last year has been a great experience, the support and account teams have been extremely responsive to our requests and have worked with us to solve any issues we encountered along the way. Comments: We hired LoginRadius in Feb 2015 to provide us with a WordPress + Woocommerce integration plugin that can register our website users to LoginRadius RaaS. They took over 2 months to deliver this plugin that never worked for us. It was so full of bugs that crashed our WordPress site several times. What more? Even after 4 months, the plugin failed to cover our basic requirements of registration. Not a single user could successfully get registered and their support team had no clue about our requirements outlined in our agreement. Moreever, they were only interested in billing us in advance for the entire year, making every attempt to get the money out of the customer rather than trying to improve their service. Be careful about signing up for their service. Thank you Benji! Glad you have had a great experience.